The Oracle Database 12c is a high-performance, enterprise-class database. Oracle released Oracle Database 12c into general availability July 1, 2013. 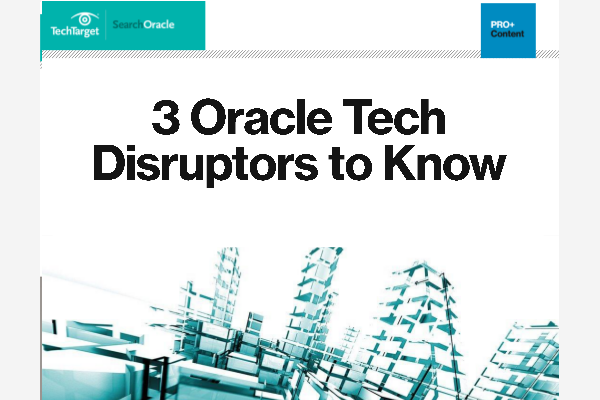 According to Oracle, this is "the first database designed for the cloud." Oracle Database 12c also introduces 500 new features to the database, most notably pluggable databases and multitenant architecture. The Oracle Database 12c release 12.0.1.2 also features the Oracle Database 12c In-Memory, an optional add-on that provides in-memory capabilities. The in-memory option makes Oracle Database 12c the first Oracle database to offer real-time analytics. Part of the concept of Oracle Database 12c is to make it easier for users to transition to the cloud. The multitenant architecture is designed to simplify consolidation without requiring any changes to the applications. Consolidation is an important step toward cloud readiness. The pluggable databases create rapid provisioning and portability capabilities. This makes Oracle Database 12c well-suited to database as a service and self-service provisioning.